Sold individually. 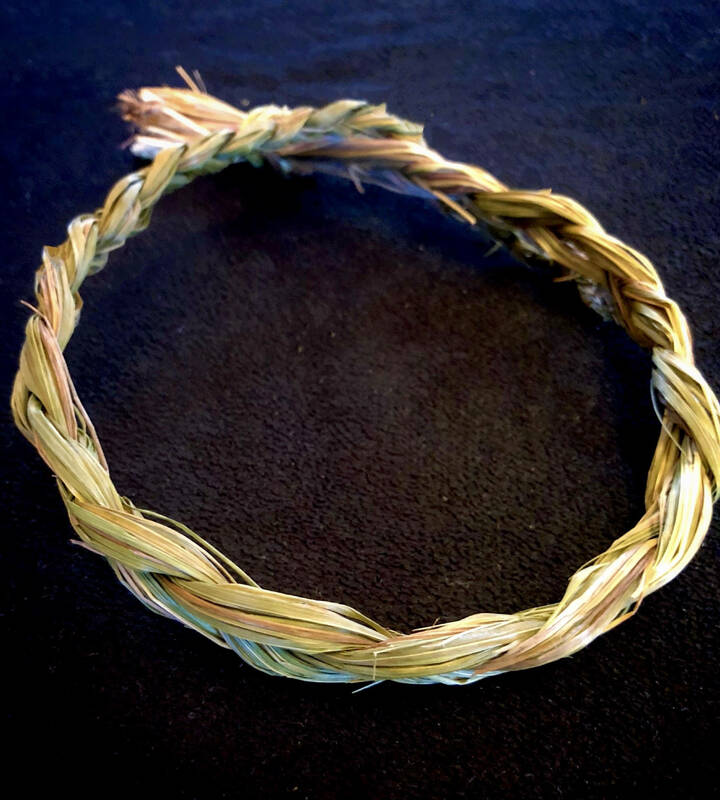 Authentic Native American Sacred sweetgrass braid. Hand harvested and braided by a member of the Cheyenne River Sioux Tribe. 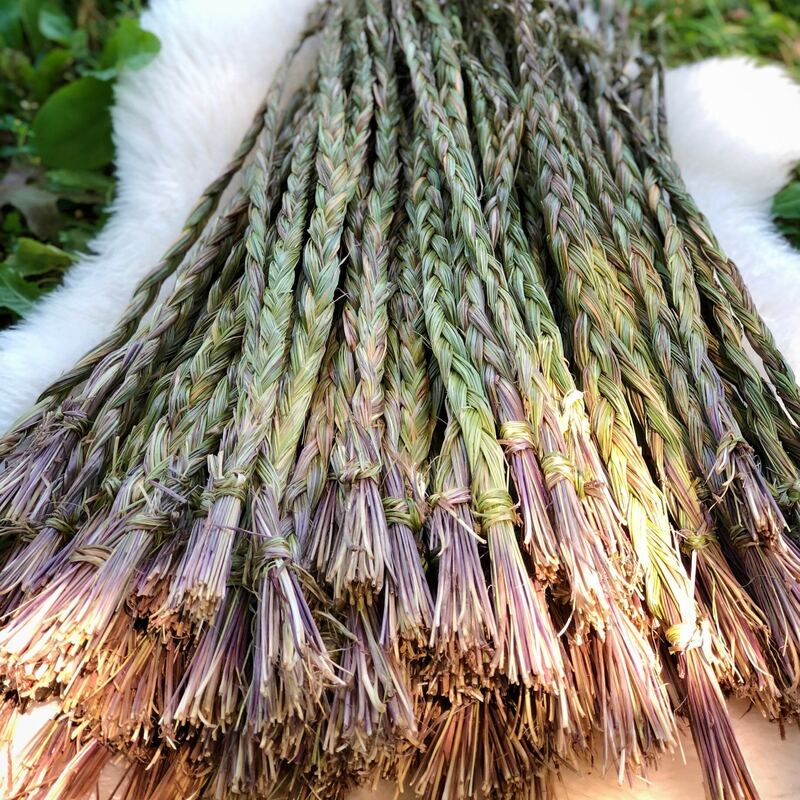 Each individual braid is unique and each are approximately 22-24” and roughly 1oz. 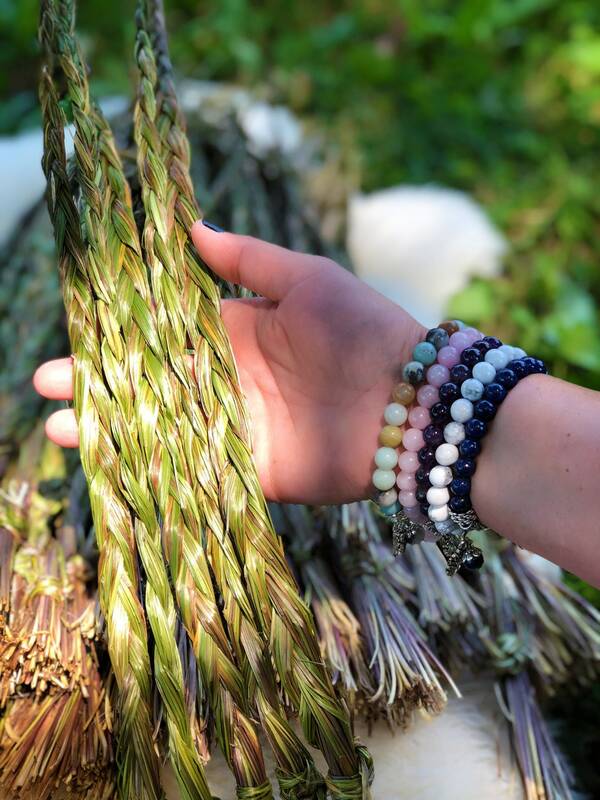 This sweetgrass is native to the Cheyenne River Sioux reservation and grows organically and wild. Never sprayed and always sustainably harvested with care using traditional Lakota methods with the offering of tobacco. Very fragrant. Thanks so much. I burn this when tension is high in my household and it immediately invites healing and love energies, I'm very grateful for this product. Fast shipping and OMG thank you for the extra gift. 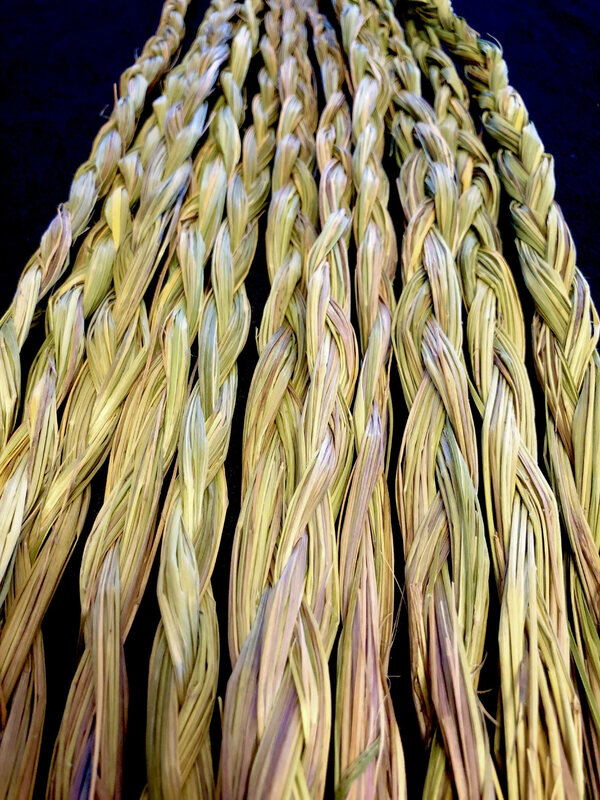 I have never burned sweetgrass but it smells wonderful.